Photo Copyright 2012 Solar Innovations, Inc. All Rights Reserved. Last month, I had an eye opening trip to Pine Grove, Pa. There, I visited a factory for Solar Innovations, the company that is building the wood curtain wall and custom doors that will be an integral part of the façade of The Tower at PNC Plaza. 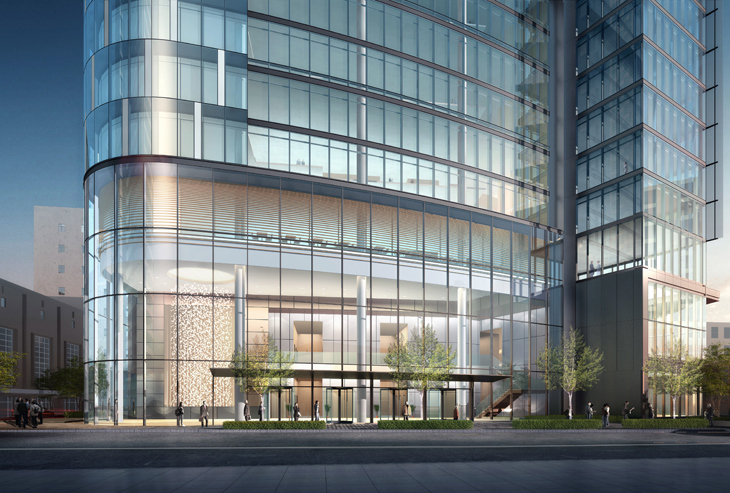 Nicknamed the Urban Room, the lobby at the Tower at PNC Plaza is encased with transparent glass to create a transparent and welcoming environment. 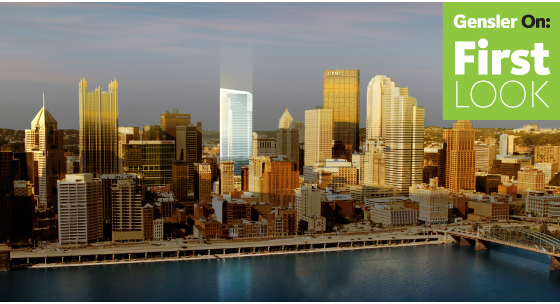 It’s been almost a year since we checked in on progress of the Tower at PNC Plaza, and ground has already been broken on what is set to be one of America’s most sustainable high rises. Hao Ko, the project’s design director shares details with us on the building, its progress and how it is living up to its moniker of the World’s Greenest Skyscraper. Once considered somewhat of a fringe issue, green design has gone mainstream in recent years. The opportunities it holds to reduce operating costs and carbon footprints alike has made it a priority of businesses and corporations across the globe, many of which are now looking to inhabit the sustainable skyscrapers of tomorrow. PNC Bank has trademarked their approach to sustainable branch banking and has the world’s largest portfolio of green buildings at 100 and counting. So we know we’re working with a client who’s not interested in the status quo—they’re challenging us every day to exceed what we’ve done before, and to be innovative in helping them meet their commitment to run their business sustainably.